Feline Friday - Is She or Isn't She? Go Have a Look at Comet Holmes! It's a New Gardening Season! Last week, Oprah Winfrey had her Christmas giving show. You know, the one where all the audience participants are oblivious at the beginning of the show to the fact that they will go home with armloads, even truckloads, of wonderful goodies that Oprah declares to be her favorites. Wouldn't we all like to be a part of THAT audience! Every year I say I'm going to make my list and send it to Oprah. The things on my list are a little more affordable, but no, I'm not going to buy one of everything on my list for everyone in my audience. It is comprised of those things that I have and use and love and generally can't do without (or don't want to). Some of them may have come at a high price in the end, or they might cost as little as a couple of dollars. But I like them all. Last year I was browsing in the Brighton store, which the very act of doing is a dangerous thing. There are so many temptations there that my head is usually swimming. I love going there and being tempted mercilessly, though. And the people who work there are so hospitable, you wouldn't believe it! They many times have plates of cookies - good cookies, too - for you to munch on while you're shopping. They're smart that way. I mean, who doesn't like cookies and heaven forbid you should have to leave the store prematurely because you had an acute case of hunger! They have bottles of water for you, too. Again, absolutely free. But these aren't just bottles of water; they've got Brighton labels on them. More smartness on their part. You probably won't drink your entire bottle of water while you're in the store, so when you leave (after spending what they hope will be copious amounts of money), you will be a walking advertisement as you pass other shoppers and they see your bottle of Brighton water. Last year I was in Brighton one day with my daughter Kara, when I spied these beautiful pens. It was close to Christmas time and the girls always want to know what they can get me, and while I'm not that hard to buy for, they still want suggestions. I loved these pens, and when Christmas came, I was the proud owner of one of them, thanks to my girls. This is not just any pen. It has a holder and I know there's probably a name for that in the pen world but I'm too lazy to google for that right now. It's a weighted holder of course, and it serves two purposes: It makes a handy place to keep the matching pen so it doesn't get shoved in a drawer never to be seen again under all the other crap in the drawer. And it's pretty! With a pen like this, that's important. A pretty pen deserves a pretty holder. Another good thing about this pen is that it takes Bic Stic® refills. When your pen runs dry, just pull out the writing end and shove in another Bic Stic®. This is good because you can have a fancy pen without having to buy expensive refills. Kara used to work at Bath & Body Works during their Christmas season for extra spending money and she'd always tell me about the neat things they'd have. This was one of them and it has become my absolute favorite all-around lip product. Mentha makes several lip products that come in basically the same packaging, which is a tube that has a slanted applicator tip. The one I love is the Shine For Life Lip Tint in the pink tube with the Breast Cancer ribbon on it. 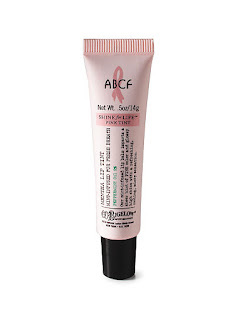 Mentha donates a portion of the sales of this lip tint to the American Breast Cancer Foundation. What makes this lip product so wonderful is that it's infused with peppermint oil in such a way that when you lick your lips or press them together while wearing this, it helps freshen your breath. As a dental hygienist, I'm super sensitive to breath issues. I'm not supposed to have bad breath, but of course I have this problem occasionally just like anyone else. I eat candy just like anyone else, too. I hope that hasn't tainted your view of me as a dental professional, but candy is good stuff and I have a weakness for it. The lip tint also has just enough color to give your lips a boost. In my case, I really need this because if you take a picture of me bare-lipped, it looks like my lips have disappeared or something. This stuff just gives my lips a normal healthy look without making me appear to be enhancing them at all. Sneaky, eh? I know, that's two things, but they're the same kind of thing, so they count as one for the purposes of my list. It's probably no surprise that my two favorite magazines are about gardening and I do subscribe to others, but these are the ones that get read right away and all the way through. They're also the ones that never make it into the circular file. Shopping tip: Want to get the real bargain here? 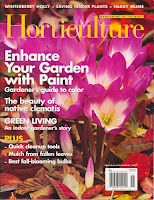 A membership to the American Horticulture Society at $35 a year gets you not only a free subscription to The American Gardener, but also free admission to gardens and garden shows nation-wide. I talked it up in February, and I'm mentioning it again because it would make a great gift for the gardener on your list. Right now, they're running a Holiday Special where you can get three memberships for the price of two. I like microfiber anything. It's that super soft fabric that comes in not just socks, but blankets, sheets (yes, sheets! ), robes, sweaters, etc. Some of it is so soft it nearly feels like you're not touching anything at all when you run your hands over it. I think it's the greatest invention since sliced bread (which came to us in 1928, by the way). We've got a microfiber blanket on our bed, and I really want the sheets, but at $89 a set, I'll have to wait for a sale on those. Kara and I found microfiber robes for $8 while shopping at Kohl's this fall, so we now have matching ones. But I really like my collection of microfiber socks that I wear around the house, especially in the evenings. They keep my feet warm and of course they just feel so soft. My absolute softest and favoritest are the pink Karen Neuburgers that Jenna got me last year for Christmas. I think Oprah had these on her list too one time, along with Karen Neuburger pajamas. Those are good, too, and the only pair I ever had were cut off me when I was taken by EMS to the hospital when I had meningitis. That was a pretty good trade-off though - pajamas for my life. Yes it was. I grew up in the '60s with the Firestone Christmas albums my mom and dad had. Each year, they'd come out with a new one, but always with the same bow on the album cover. It had all the classics, sung by stars of the day, like Julie Andrews and Vic Damone. They were good. 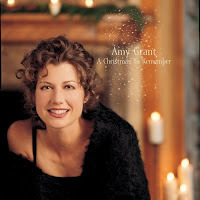 But for some reason, the music that makes me feel "Christmas" is that of Amy Grant. She's done three Christmas CDs and I love every one of them. 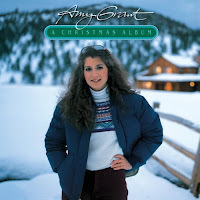 Her first one, A Christmas Album , I bought in cassette tape format because we didn't own a CD player back then. Now we don't own a cassette tape player and I had to buy it again so we could play it on our CD player. I've seen Amy in concert several times and all were outstanding performances, but I'll never forget the Christmas Concert my girlfriends and I saw in Indianapolis one year. It was magical and inspirational. Though not a classic Christmas song, Breath of Heaven gets me every time. Even if I weren't a dental hygienist, this would be on my list. I've read the research and test results and have actually been a part of a testing group for Sonicare products. Over the years I've tried more toothbrushes than I could count, both manual and power, and still this is the one I use every day myself. As a hygienist, I also see patients that use Sonicare and I see the results in their mouths. Plain and simple, this is a superb product. 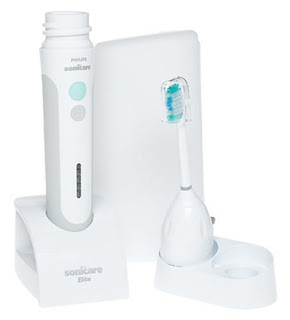 That said, here is the disclaimer: Sonicare is very easy to use, but it's not a miracle machine. You must use it twice daily, as directed, for best results. And it won't compensate for poor habits on the user's part (such as smoking, poor diet, etc. ), but as far as cleaning products go, it's the best as far as I'm concerned. You've probably seen this watch in print advertisements; I think I first saw it in one of Romie's golf magazines. It took me a long time to part with the money to buy this watch, but I've never regretted a penny of it. I have to admit I didn't pay $189.00 for it because they were having a pretty good special on it at the time I bought it, but it still cost way more than I've ever paid for a watch. I used to have a watch fetish and while I still love watches of all kinds, have quite a collection of them, and wear most of them at some time or another, I wear this one the most. It goes with just about anything and not only do I like it, most people who notice it do, too. If something ever happens to it, I'm sure I'll replace it. This is the candy du jour. I go in spurts with my candy cravings, but this one has lasted quite awhile now. I've never considered myself to be a chocoholic like Romie or my mom, but I think I may be well on my way to becoming one if these truffles have their way with me. They remind me of the chocolate I had once upon a time in Chamonix, France. That was so memorable that I can tell you the exact date - July 14, 1974 - Bastille Day. The chocolate outside of Hershey's Truffles is creamy enough by itself, but once you allow that to melt down to the truffle inside, creamy takes on a whole new meaning. That's another thing - pure chocolate is never to be chewed, you must let it melt in your mouth until it's all gone. People who chew it shouldn't be allowed to eat it. They just don't get the savoring bit and that's a high crime in the chocolate world. It's downright chocolate abuse. Oh, and chocolate doesn't cause tooth decay. It's the perfect candy. It's a well-known fact that I'm addicted to my computer. I've got a Dell Dimension 4550 and it's a great computer. A year and a half ago, Dell ran a two-day special on a 12-inch laptop that was too good to resist. I'd been wanting a small laptop, but the price always stopped me. Not this time. Kara bought one, too. If you register at their website, you'll be notified of their super saver deals such as this one. I use it quite a bit here at home now that I have a wireless network, and I take it with me when I travel. I love my little Dellette. It feeds my addiction. Several years ago, I bought one of these charming bookmarks at Border's book store. Now I make them myself and they're my signature item that I sometimes leave in a cache while out geocaching. I give them as gifts, too, and I've made close to a hundred of them by now. I have a large assortment of beads and charms and no two that I make are alike. But for all of them that I've made or could make, I still use that original one that I bought years ago. Sometimes I jump right on a new product bandwagon and sometimes I hang back. Though Crocs™ have been around since 2002, it was just this past summer when I bought my first pair. And my second. And third. I LOVE THESE SHOES! No, they're not the most attractive, but they are hands down the most comfortable and their appearance sort of grows on you. They've got these cute little charms you can attach to your Crocs™ called Jibbitz. I have a few of these: red star, green shamrock, my initial "K", red heart, daisy, and a kitty that my mom got me. I have a pair of white Crocs™ that I wear for work and now they've come out with Crocs™ Mammoth, which is their original shoe with a removable fuzzy liner to keep your feet warm for winter. I want a pair of these, too. Believe the hype. 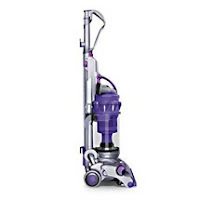 I used to be a Hoover gal, but this is one great vacuum cleaner. I've never minded running the vacuum when cleaning house (hate dusting though), but I love pushing the Dyson around. They've got several models in cool colors and we've got the Animal. Ours is a refurbished model and after three years of use with no problems whatsoever, we still love it. I think we paid something like $329 for ours, which was a pretty good deal. Having fibromyalgia sometimes means that getting good restful sleep is difficult. The biggest reason for this is that many times I just can't get comfortable and it seems like no matter what position I get myself into, something hurts. But this doesn't happen very often anymore, thanks to our 4-inch memory foam mattress topper. We didn't feel like we could afford a Tempur-pedic™ mattress, so this is a compromise, but it gets the job done. We have a Comfortaire mattress, which I like, but the mattress topper makes it so much better. I drink it first thing in the morning and late into the night and I really really miss it when I don't have it. Addicted? You bet. And I don't even think it tastes that good. So what's the deal? I don't drink diet pop because it's low in calories; I drink it because it doesn't have sugar in it. I've seen what drinking lots of Mountain Dew can do to a person's teeth. It's not pretty. I love the carbonation and I like it best when it's out of a can (no fountain pop for me!) and so cold that it has tiny little ice crystals in it. If I do drink it out of a glass, which isn't very often if I can help it, I don't want ice in it. That dilutes the flavor and carbonation too much. Pepsi ONE uses the artificial sweetener Splenda (sucralose) instead of NutraSweet (aspartame). I've found that my fibromyalgia pain is worse when I drink Diet Coke (my former love) with NutraSweet and while I'm aware that Diet Coke with Splenda is available, it's not very easy to find in our stores. 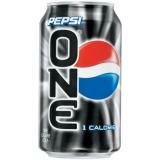 I think Pepsi ONE tastes very much like Diet Coke. I don't like Diet Pepsi. Who knew that one could be a connoisseur of canned pop? These are not your mother's tweezers. I know, they look like tweezers and they work much like tweezers, but if you're not careful, you could cut your finger off with these. These don't pinch, they cut. Made of very heavy stainless steel, the tips are actually blades, which makes snipping cuticles, hangnails and other skin a breeze. I'll bet you could find all kinds of uses for these things. Tweezerman is famous for their tweezers and their lifetime sharpening guarantee. I have a pair of Tweezerman eyebrow tweezers and when I needed to have them sharpened, I just packaged them up, sent them off, and they were back to me in no time. I've had these snippers for several years now and so far they haven't needed to be sharpened and I use them all the time, mainly for this issue I have with a plantar's wart on the bottom of my foot. I won't go into that; it's literally a sore spot with me and for some reason the various doctors I've seen don't want to remove it surgically. With these, I could probably do it myself. Seriously. Romie is allergic to a lot of things, including dust, mold, trees, grasses, pollen, cats . . . Yes, cats, and we have eight of them. For the last three years he has been making weekly trips to the doctor's office for immunization therapy. One of the things that the allergist recommended that he feels really works to help keep the allergens down in the home is the Ionic Breeze Air Purifier sold by Sharper Image. So of course, we bought one, and later another. We only have two cats in the house, with the rest only making it inside on occasion, and while his doctor recommended we not have any, he agreed that with everything else that Romie is allergic to, getting rid of the cats wouldn't make much difference. That's a good thing, because Romie likes them just as much as I do, maybe more. I'm not allergic to much of anything except for bee stings, so these air purifiers are not a necessity for me, but I love them. I'm happy that they contribute to better air quality for Romie, but I also like how they make the air smell. In our family room, which is fairly large, I don't notice a difference in the way the air smells, but in our smaller bedroom, I love walking into the room and immediately getting a whiff of air that smells like spring. Yeah, it's that good. My first one was red. The next one was white. Then came yellow, charcoal, blue, and bordeaux. 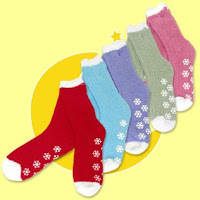 Every season they offer them in a new assortment of colors. In the 15 or so years since I bought my first sweatshirt sweater, this is the one item in my closet besides my jeans that I reach for when I want to put on something comfortable. I've actually worn small holes in two of them. I was glad when they started making these in petite sizes, because I have a problem with sleeves being too long on everything. It's not that my arms are short - I just have really narrow shoulders. Three-quarter sleeves rock. There are all kinds of shopping portals and I've probably tried most of them. Discover Card has one; Ebates is another. But the one I love and use all the time is Shop At Home Select. How these work is, you start your online shopping by going to their home page and signing in. Then you look for the store where you want to shop and click on the link that takes you there. By starting at the portal's home page, they give you a rebate from every purchase you make. Then when you reach $20, they send you a check. They really do. I've been doing it for years. But wait! They make it even easier than that. Instead of having to go to their site to start your shopping, they have this nifty little application that you download and install that automatically takes you through the portal and credits your account. That way you don't have to even think about it and won't have to worry about forgetting. When you go to a store that's partnered with their site, such as Gardener's Supply, a little window pops up for a few seconds that lets you know if you make a purchase there, you'll receive a 5% rebate for your purchase. Rebate amounts vary by store, and some businesses give cash for certain kinds of transactions. When we joined NetFlix, we got $19.00 credited to our Shop At Home Select account. I'm very particular about what I'll download and install on my computer and for the first year or so, I didn't install Shop At Home Select's shopping software. Then I decided to take the plunge and in the several years since, I've never once experienced a problem and it's very non-intrusive. They don't use your e-mail for other purposes, only for communication with you and for crediting your account. So, if you think you might want to take advantage of this, and I can't think of a single reason why you wouldn't, go here and sign up. It's free, and if you use my link, you'll get $5.00 with your first purchase and so will I. It doesn't really matter to me if you do or not, but who can't use an extra $5? And in this Christmas shopping season, you might just make enough money from rebates to buy yourself some new plants for the garden next spring. There's something just too cool about having a handheld device you carry in your purse that contains all the important data of your life in it. And Sudoku. I'll admit I'm lax about entering important dates and information into it, and I can't figure out why that is, because it's very user-friendly. Even my mom, who is electronically challenged, has one and uses it religiously. I use mine religiously too - for playing Sudoku. That's just another of my obsessions. Or is it addictions? Whatever. No, he can't be had at any price. Sorry. But he belongs on this list because he is absolutely my very favorite thing. I could write a book about why he's so special to me, but I'll give you the Reader's Digest version - because he loves me, and at times that is not an easy thing to do. He makes my life just about as good as it could be and does it with a smile on his face. I truly couldn't live without him. There you have it - My Favorite Things 2007. I'm sure you have your favorites, too. I'd love it if you did a post on your blog and came back and left a comment to let me know you've posted it so I can be sure to read your list. Maybe one of your favorite things will become one of my new favorite things. It might help me with my Christmas shopping, too. We've had some pretty chilly weather here in the last week and there's more to come (for the next four months), but the Calendula officinalis is still hanging in there. This syrphid fly or hover fly (Eristalis sp.) is taking advantage of them, too. I see these insects all the time in the garden and I always thought they were bees. They look very much like them, but they're flies. These flies are very beneficial to the garden, not only as pollinators, but for their voracious appetite aiding in garden pest control. In their larval form, they consume thrips, mites, and copious amounts of aphids. After about four weeks of eating aphids until the leaf they're on can't support them anymore, they drop to the ground and pupate. About two weeks later, they emerge as adults, where they fly around the garden in search of pollen and nectar-rich plants such as lovage, dill and yarrow. We had all three of these in our garden, and they clearly love the Calendula. In fact, herbs are their favorite source of nourishment. Our friend in the picture is a female syrphid. We know, because her eyes don't meet in the middle as the male's do. Another great thing about hover flies - they don't bite or sting! Thank you so much for contacting us here at Wayside! We value our customers’ comments and questions very highly, and we appreciate hearing from you. I have inquired on why the shipping was as you stated, and I was informed that the website split the order into two order, because the Amaryllis was from a special Christmas offer. If you would still like to place the order for the Amaryllis at $12.95, Agapanthis at $6.47, and Paris Polyphylla at $6.47, you may call the number below and place the order at the same sale prices. The shipping would be $8.95 plus the $2.00 charge. If you choose to order please call right away before the items sale out. Please accept our apology for the frustration and any inconvenience caused. Again, thank you for writing to us. If you have any further questions or comments, please do not hesitate to contact us (number and address listed below). And thanks for gardening with Wayside! The first and last paragraphs are part of a form letter, so the really pertinent part is the emboldened text in the middle. I had to smile at a few things when I read it. First of all, she got the pricing wrong on the items. The amaryllis is $6.47 and the Paris polyphylla is $12.95, not the other way around. Secondly, anyone in customer service that involves written communication ought to have good spelling skills and if they don't, they should know how to use a spell checker. Of course, some programs don't recognize words that are misspelled if the wrong spelling is indeed a word. I'm not perfect either, but these kinds of errors bug me when I see someone in this capacity making them. Thirdly - and most important to me - is the admonition to "please call right away before the items sale (sic) out." They took five days to answer my first e-mail, it took no less than four e-mails over the course of a week to get this straightened out, and they want me to hurry? Okay, so maybe all that is nit-picking, but at this point, that's what I feel inclined to do and I don't have the urge to get right on the phone and place that order. Earlier today I located some Paris polyphylla at Trans-World Plants in Oregon. They have a 100% satisfaction rating on Garden Watchdog, as opposed to a 50% rating for Wayside Gardens. It's not that easy to earn a 100% rating from your customers and Trans-World should be very proud of that. Wayside Gardens might take a look at them and other companies that have high ratings and see how they could improve theirs. I have to inform Barbara that due to all that has transpired over the last couple of weeks, I will not be placing this order from them and it's doubtful that I will ever order from them in the future. If she had done her homework right from the start, this could have had a different outcome for her company. As it is, I have lost respect for the business she represents before I even had a chance to order and see their product. I ordered the Paris polyphylla from Trans-World Plants and it was less expensive too, at $10.00 and that's not even a sale price. Hopefully, they'll be able to count me among their satisfied customers and I fully expect that will be the case. I'm not that hard to please. Interestingly, Wayside Gardens is affiliated with Park Seed and Jackson & Perkins. I'm not sure where the division of things is between the businesses, but I've ordered several times from Park Seed and Jackson & Perkins in the last several years and have been satisfied with both their products and customer service. I had a rose that arrived heavily damaged and nearly dead from Park's and they promptly refunded my money for it, since they no longer carried the item. Their Garden Watchdog ratings aren't that great either, each coming in at 65%, but I've never had a problem with either Park's or Jackson & Perkins. In fact, the roses I got earlier this year from Jackson & Perkins were lovely and have all grown well and performed fabulously. Warning: This is not a feel-good blog post. Not unless you've had the same experience I have and you're in the "misery loves company" camp. If so, read on. If not, my apologies. For a couple of weeks now, I've been trying to complete an order with Wayside Gardens, and today I came to the conclusion that they would rather not have me as a customer. I don't think I've ever purchased anything from them before, mainly due to their high prices on most things I'm interested in, but they were having a sale, so I thought I'd go ahead. And the Very Special Thing that led me to make this attempt was Paris polyphylla. 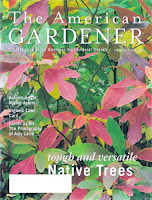 I received an e-mail from Wayside Gardens advertising a 30% discount sitewide. Oh good! Maybe I can get my Very Special Thing now, since it will be 30% off! To sweeten the deal, if you used their code, you'd get a free upgrade to express shipping! 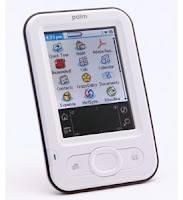 Since I'm going to order the Paris polyphylla, I might as well see if there's anything else I might want. Sure, I'll take a 'Zombie' Amaryllis and an Agapanthus bulb. I dropped them into my shopping cart, went through the steps to complete the order and whoaaaaaaaa . . . look at those shipping charges! Even using the code, express shipping is $18.90 for three bulbs. And that's not all - there's a side note that due to an increase in fuel costs, there will be a $2.00 surcharge to all orders. Except that my order has a $4.00 surcharge added. So now we have a total of $27.89 for the items I want to order and $22.90 for shipping. I abandoned my shopping cart for several days until I received another e-mail from Wayside stating they'd made an error on their website and they had it fixed. To compensate for their error, they were now offering 35% off sitewide. He who hesitates, wins! I once again went to their site and my items were still in my shopping cart. (I'll give them a point here, because some sites empty your cart the minute you leave their site, even if you sign in. I hate that.) But the amaryllis isn't showing the sale price. Oh, look! They're giving me a free one instead! I don't want two amaryllis; I only want one, and I want it at 35% off just like the rest of the items. If they want to give me a free one, then make it be free, instead of charging me the full price for one and throwing in another. I decide to see what happens when I try to once again complete my order. Are you with me here? You know what happened, don't you? Still incorrect and exorbitant shipping charges. Now my total for the items is $25.91 and shipping is $20.90. I shot off an e-mail to customer service, explaining my experience with trying to order and pointing out that even if the shipping charges are based on the original prices of the items I'm ordering (which is exactly what they do), the shipping should be a total of $10.95. It says so on the page where they state their shipping charges online and it says the same thing in their print catalog. I got an automated response from them telling me they'd received my message and they'd get back to me within five business days, due to this being their busiest time of the year. And it was a full five days later when I received an e-mail from Barbara, apologizing for my frustration with their website and any inconvenience I experienced. Barbara explained that the reason the price on the amaryllis showed up the way it did was because it was a daily special the day I tried to order it. She told me I could now order the amaryllis at 35% off. She said the shipping charges should be correct now, too. So I went to the website and yes indeed, the amaryllis problem was corrected. Not so with the shipping fees. Still the same high price. I really wonder what they would be without the free express upgrade discount! I once again e-mailed customer service and this time I only had to wait a day for a response from Barbara. She apologized for my frustration and inconvenience then went on to tell me I had failed to tell her what the subtotal was for my order and what shipping charges were listed when I tried to finalize my order. WHAT? I did too tell her what I was charged for the items and what the shipping charges were, but apparently Barbara had forgotten or she merely overlooked those details that were still showing in her response e-mail had she scrolled down and reviewed my initial complaint. Now you would think that Barbara would try to do something here to help me with the placing of this order. But no, that was the end of it on her end. Barbara clearly isn't paid commission on sales, not that I would expect that, but it might be motivation for any employee to help their customers as best they can. More sales means more profit. More profit just might mean higher salaries or bonuses. At least I thought that was the way business worked. I replied to Barbara that yes I did supply the information she asked for, in my initial e-mail, but I copied and pasted it once again for her convenience. Isn't it the job of customer service people to gather the information they need to properly respond to the problem presented by their customers? I really would be surprised if Barbara and I communicate further. I pretty much left it with her that I had already spent way too much time trying to order from them and that there were many other businesses just like theirs that didn't require such hard work to make a purchase and be charged the right amount. It is probably not in my best interest to be posting this rant publicly on my blog about a specific business, although I did do it once before. That time was a rather comical error by the business and not really a rant, but this is downright irritating. It's not in Wayside Gardens' best interest to not take care of their customers either, no matter how large or small the order, especially when it's a first-time potential buyer. I'm done. And if you've made it all the way to the end of this, let me give you a hug. Sometimes all people want is to be listened to. And Paris polyphylla. 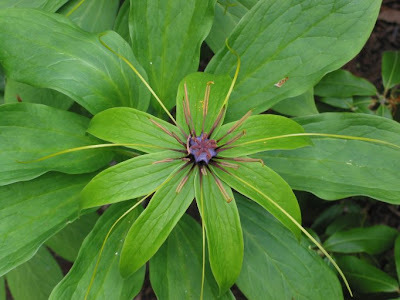 Photo of Paris polyphylla courtesy of UBC Botanical Garden website. These are really the stars of late autumn color right now. While nearly everything else is bare of their leaves, the Cleveland Pears (Pyrus calleryana 'Cleveland Select') are not giving up their golden yellows easily. Fine with me! They're gorgeous. We've got three of them that we purchased in the spring of 2006 at Walmart when they had many nicely-sized trees on promotion for ten dollars each. We couldn't resist. They're a lovely tree, really, with three seasons of beauty - white-blushed-with-pink blossoms in the spring, glossy green leaves in the summer, and brilliant yellow ones in the fall. This spring, as they were blossoming out, I thought the buds looked like micro-mini rose buds. Entire bouquets of tiny rosebuds were gathered on each stem. I was fascinated with them and snapped photo after photo. I couldn't wait to see if they continued their rose resemblance all the way through full bloom. Well, I couldn't tell you for sure if they do or not, because we got hit with a late freeze that stopped them dead. It lasted so long I began to wonder if the trees themselves would survive. They came through it, but I'll have to wait until next year to see them in their spring finery. The Cleveland Pear is preferable in this area to the Bradford Pear (Pyrus calleryana ‘Bradford’), which you'll also see quite often. This is because the Cleveland Pear is better able to withstand strong winds and ice storms. The Bradford Pear, because of its growth habit, has weaknesses in its branching that the Cleveland Pear does not. For this reason, the Cleveland Pear has a longer life span. Suitable for zones 4-9, the fruitless Cleveland Pear generally grows to a height of 30 feet and a diameter of 15 feet. It tolerates most soils, including heavy clay, and isn't bothered much by pests. I've been meaning to try this for quite some time and when I found one of the last roses in bloom in the garden, I decided now was as good a time as any. There are experts out there - experts at the art of scanning flowers. Just like other artistic endeavors, this one requires some skill. Oh, they'd like you to believe otherwise, but honestly, I followed directions and I didn't get the result I'd hoped for. Maybe it has something to do with my scanner. I did read if your scanner has LEDs for its light source, you won't have as good of results. I have no idea if my HP psc 1315 uses LEDs or not. Maybe I don't want to know, because then I might not be able to use that for an excuse for why mine didn't turn out so well. I love coneflowers and I've got many cultivars, but hands down the best performers are the Chicago Botanic Gardens hybrids, 'Mango Meadowbrite' and 'Orange Meadowbrite'. They don't have the fullness of petals that some do, but the foliage remains healthier and they bloom non-stop until just before frost. 'White Swan' does well for me, too. I don't think I can complain about any of my irises - German bearded, Dutch, Siberian, Reticulated, or otherwise, but my favorite has to be 'Red at Night'. Its large blooms don't fade in the sun and it's got multiple blooms per stalk, so it hangs around for a long time.
' Princesse Caroline de Monaco' runs a close second. While these are called hardy glads, they're only hardy to zone 7. This cultivar is 'Atom' and it's considered an heirloom bulb, gracing gardens since 1946. I just discovered them in 2005 and I find their species look to be preferable to the regular garden gladiolus and well worth the trouble of digging them up in the fall and storing them in the basement till spring. They multiply like crazy, which is all the better for me, because I absolutely adore their fire engine red color with the white picotee edging. You can stagger their planting so that bloom time is extended. They keep well as a cut flower, too. I like my 'Starfighter', 'Robert Swanson', and 'Italia', but the real star of all the lilies has got to be the Oriental 'Muscadet'. While they mysteriously disappeared this summer, I enjoyed their perfect blooms and heady fragrance that permeated the entire patio area last summer, so they warrant a second try. I've put them in an area that gets full sun, so they will probably do better than they did in the mostly shady spot where I had them before. The best of the daffodils I have is 'Avalon'. It's a large one, and while I like the tiny ones too (like 'Pipit'), this one is robust and stays in flower a very long time. I even have it in shade and it does very well. The arborvitae that partially shaded it in the last couple of years has declined and part of it has even died, so 'Avalon' will get more sun this spring. That can only improve its performance, if that's even possible. My favorite peony is 'Charles Burgess.' I planted it in 2006 and it just took right off. I love the rich magenta with the contrasting center and its foliage stays green and healthy right up until frost. I can't say that about all my peonies. Hardy geranium 'Rozanne' is a strong performer. It starts out slow in the spring, but quickly makes up for lost time. By midsummer, I have to prune it back pretty hard so it doesn't consume everything around it. It's not that it's invasive, it's just that the plant itself grows that much, and well ... it has to go somewhere. It works well as a groundcover, but that's not how I'm using it, so I have to keep it cut back. That doesn't hurt it a bit and it flowers late into fall. Most people think roses can be difficult and perhaps for some they are, whether it be due to climate, soil, or other factors, but I've never found them to be that way. I don't fuss over them a whole lot and maybe there's a bit of luck involved, but I've only ever had problems with one ('Diana, Princess of Wales') and even that one eventually came around this summer after looking miserable for the first part of the season. But the one that has been the most outstanding of all is 'Disneyland'. I had seen it on a garden tour and knew I had to have it. I can't imagine spring without the Chionodoxa. When everything's wet and brown from the melting snow and not much else has even started growing, this nearly glows in the garden. I go out and get down close and just stare at it; it's so pretty it almost doesn't look real. Now how could I forget the Candytuft (Iberis sempervirens)? I extolled its virtues a few weeks ago, but I have to mention it here because it belongs on my list of great perennials in the garden. It looks good even when it's not in bloom. I'll wrap it up with a new one to the garden this year, Astrantia major 'Oma'. I can't say how it winters through yet, so maybe it doesn't belong here in my list of strong performers, but I hope it does just fine, because I love it. I acquired another cultivar in Cleveland in October, so if both of them make it through the winter I'll be thrilled. Many a year it was that I got up in the middle of the night, donned warm clothes and took off for points west, namely Fort Wayne, Indiana, and usually with my dad at the wheel. This, on the busiest shopping day of the year, because there were bargains to be had! Freebies to scoop up! Madness to be a part of! Yes, it was like a party of sorts, although I doubt my dad thought so. He just wanted to get his shopping for Mom finished and he figured I was the only one who would be crazy enough to do this with him. It's not that he enjoys shopping, or all the people, it's just that he's an early riser and he likes a good shopping bargain as well as anyone. In those days (1980s), shopping the day after Thanksgiving wasn't the absolute madhouse it is today. Stores opened at (gasp!) 7:00 a.m. Dad and I would have breakfast at Bob Evans and be outside L.S. Ayres (now Macy's) when they opened. They'd be passing out coupons or samples or ornaments or something that the sleepyheads would miss out on. We'd have our shopping done by 10:00 a.m., just when things started to really get hopping. It was fun. One year, we were captured in all our consumer glory by one of the local television stations reporting the start of the Christmas shopping season. But now it would take ... well... I'm not sure what it would take to get me up early enough to take advantage of the doorbusters. Kohl's and J.C. Penney opened at 4:00 a.m. today and Value City actually started their sales at midnight. I'm a dot-com gal, remember, and there are online sales that make it attractive and worthwhile to stay home and shop in my jammies, although I haven't yet made a single purchase. So how did we spend Black Friday? In the garden, of course! It was a pretty nice day out there and we had work to do. The winds in recent days had stripped most of the trees bare of their dead leaves and they were now in our yard and in the flower beds. Romie powered up the leaf blower and did what he could to help me remove them from the flower beds, but I still had to do much of it by hand, due to the rains we'd had. This created that suffocating mat of wet leaves that would mean death to the perennials if left in place all winter, and some of them were already completely covered by them. Once Romie blew out the beds, he attached the bags to the mower and chopped the leaves in the yard, dumping them out on the compost pile (With Jack along for the ride - yes, he rode on the back. You can run the vacuum cleaner under him too and he merely watches). I was working up by the house when Romie came to me and asked, "What do you want me to do with the rest of these leaves?" I wondered why he was asking me this until he told me to have a look at the compost pile. Oh boy. And this isn't even half of it. He piled some more on, then took the bagger off the mower and chopped the rest for mulch on the lawn. We'd already put a layer of compost on the bare parts of the garden. But now we had this huge pile of chopped leaves that I was pretty excited about. (Who ever thought I'd be excited about a pile of dead leaves?) By spring, it will be a smaller pile due to decomposition, and will be a great start for compost for the garden. Since we don't have bins built yet to contain the compost, we had to come up with some way to keep the leaves from blowing away. Wetting them down would help, but they'd still gradually blow away with the strong winter winds to come and no windbreak. So we took some mesh that we'd used on the strawberries to keep the birds out and covered the pile, securing it with garden staples and twisty-ties. We won't be able to stir the compost this way, but air and rain/snow can get in, and at least we won't lose the valuable organic material. We'll resume proper composting techniques in the spring and hopefully have a bin to keep it in. I had a few bulbs to plant: Allium schubertii, Fritillaria meleagris, and Narcissus 'Jetfire.' There are still some to come, which UPS says will be delivered next Tuesday, and then I'll be done. So much for my vow to not buy any new bulbs this fall. The half-off sales sucked me right in. While I was putting mulch over the freshly-planted bulb areas, I noticed all the new life still springing forth in the garden. I was surprised, because we've had plenty of cold weather, much of it below freezing, yet here was new growth! The new Campanula 'Pink Octopus' was green as ever and new plants were sprouting all around it. I saw beautiful Viola 'Fuji Dawn' seed pods that had broken open and were full of teeny little pellets that would become more Viola 'Fuji Dawn.' This had already begun happening though! New little seedlings were flourishing all around the mother plant. I collected the seeds I could and I'm saving them for spring. Maybe I'll want to start them somewhere else. The burning bushes are ablaze, but they're in their last days, as the winds have robbed them of their leaves, too. That left a carpet of them on the brick pathways that I find strangely romantic. The 'Crimson Pygmy' barberries are just now showing their best color and I don't think I ever truly noticed them like this before. Shame on me. There are several rose buds that I'm certain will never open, but 'About Face' and two unnamed miniature roses get the prizes for last blooms. I never thought I'd see roses in bloom just a week before December. The Japanese spiraea are awash in luscious fall color, too. I've always thought of these as somewhat mediocre offerings at the garden centers, but at a time when I needed something with certain criteria, these fit the bill. I'm very glad I chose to go with them. They've made me happy with both their blooms and foliage. The only thing left in the vegetable garden is the Swiss chard 'Bright Lights.' Grandma thinks it's the prettiest thing we grew in the garden. It's still fresh and crisp and if we liked it, we could still be eating it, but we grow it just because we think it's pretty. 'Clara Curtis' chrysanthemum is proving to be a real trouper, especially considering it was just planted this September. It doesn't seem to be bothered by the cold. Another new one planted this fall, Echinacea 'Pink Double Delight' just deepens in color the colder it gets. The foliage has turned a shocking yellow that contrasts nicely with its blooms, although I wouldn't like to see it look like this year round. It's a nice change for fall. The other coneflowers are long gone. So the leaves are taken care of and I'm up to date on the bulbs, until Tuesday. The mulch is all in place and all gone, finally, after having a huge pile of it since spring. It was a productive day and while not warm, it's a satisfying thing to get work done, especially when you can do it when the sun is shining while snowflakes drift down. I felt like I was in a movie and the stage hands were opening boxes of fake snow above me. Gotta love that.